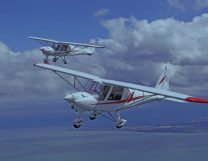 Commercially available since 2012, Teijin Aramid’s Endumax® is a thin, ultra-strong film made from a special type of Ultra High Molecular Weight Polyethylene (UHMWPE). 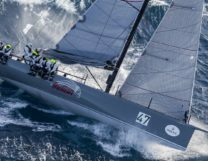 It offers a huge range of performance improvements to an exceptionally wide range of applications, including ballistic protection, airfreight containers, laminated sails, ropes and cables, and loudspeakers. With more application areas being actively explored, Endumax® looks set to continue delivering high performance products around the world. Developed and patented by Teijin Aramid to meet manufacturing demands for superior strength, safety, light weight and durability, Endumax® is a high-performance UHMWPE (Ultra High Molecular Weight Polyethylene) material. Produced in Emmen, the Netherlands, its unique physical and chemical structure makes it 11 times stronger than steel, and it is very rigid. Endumax® is available in different formats and sizes, and can be adjusted according to customers’ specific requirements. What’s more, Endumax® is an environmentally friendly and solvent-free material that can be recycled easily. Manufacturers around the world use Endumax® in a very wide range of applications, from ballistic protection to airfreight containers, laminated sails and robotics. Since it was first manufactured in 2012, producing Endumax® has been made into a straightforward and sustainable process. First of all, UHMWPE powder is compacted into a sheet. This sheet is then rolled and stretched until it reaches the right thickness (between 45 and 60 μm). By doing this, the long polymer chains of the UHMWPE are aligned, giving Endumax its excellent mechanical properties. The result is an Endumax® film or 133mm width that, in a next production step, can be used for manufacturing ballistic protection, uni-directionals or can be split to create narrow films or various widths. The Endumax® manufacturing process is rounded off with an intensive quality control check. Because of its unique manufacturing process, Endumax® offers a very special combination of high-performance chemical and physical properties. 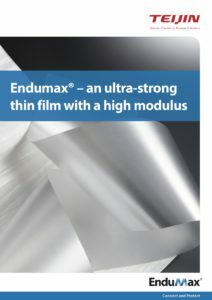 In particular, Endumax® has a very high modulus, especially for a material that has such low density, making it ideal for applications that require high responsiveness and direct contact between payload and operator. 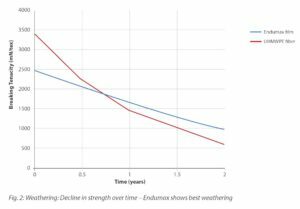 Furthermore, Endumax® is not weakened by exposure to ultraviolet light and sunlight, enabling a wider range of design opportunities. Prolonged exposure, even at temperatures of 70°C, does not harm the properties of Endumax®, and it can resist a wide range of chemicals including 10% sodium hydroxide, 10% sulfuric acid, and water. … And there’s more to come! Because Endumax® is produced as a film rather than as a filament, it is easy to add to a wide range of customized surface treatments. These surface treatments include different color variations, pressure-sensitive adhesives, thermoplastic layers, and scratch-resistant layers. Manufacturers often approach the Endumax team to develop and co-create new Endumax®-based products for niche applications. 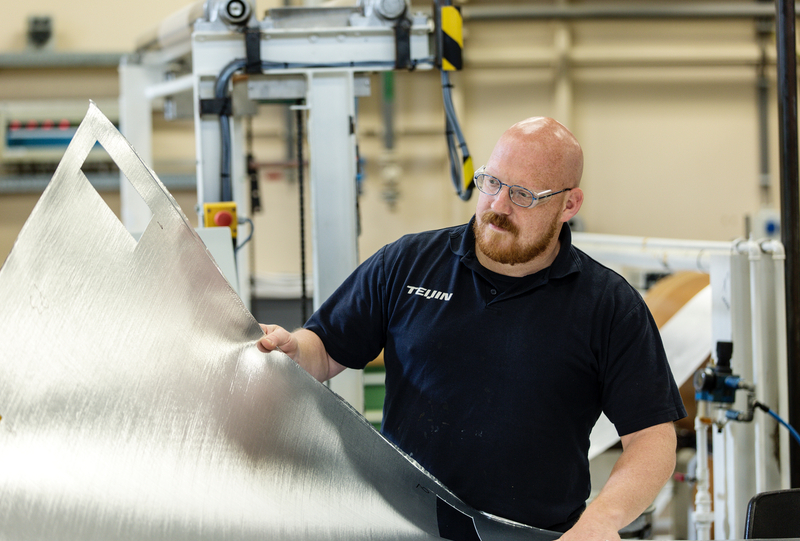 In fact, together with Teijin Aramid’s R & D experts, the Endumax team is actively exploring new market opportunities and potential new application areas. In particular, the marine and offshore equipment industry often requires materials that deliver high modulus and superior strength, as well as improved durability. Besides developing new applications for various industries, the Endumax team is also adding new products to its portfolio. 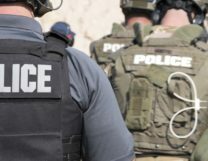 For example, a new product for customers in the hard ballistic industry: Endumax Shield XF33®, which offers significantly improved protection at higher threat levels. Over the coming period, the Endumax R&D team will continue to add further improvements. Keep an eye out for what’s next for Endumax®!